I picked up this blazer on a shopping trip to Westfield about ten days ago and I'm really pleased with it. The sole purpose of my shopping trip was to find a jacket that was light enough to wear through spring and summer and although I had a duster coat in mind, they weren't very me and I felt that this blazer suited me more. I can dress it down with jeans and trainers or up with a smarter trousers and heels and I know that I'll be reaching for it a lot once the British weather decides to warm up! This blouse was also picked up on the same shopping trip (although it wasn't on my list) and I couldn't resist it! It's something that I've been after for ages as it's so versatile, I can wear it with jeans, trousers, skirts, shorts or even a pinafore dress. I've styled it with some 7/8ths trousers from ASOS but I also really like it with my Zara ripped jeans and some espadrilles. I wrote about this t-shirt in my Seasonal Outfit Ideas blog post and today I've styled it up a bit differently. This would be how I would wear the t-shirt on a normal day, with high waisted jeans and some casual shoes but I would also wear it with a skirt or high waisted shorts in warmer weather. Such a lovely post! 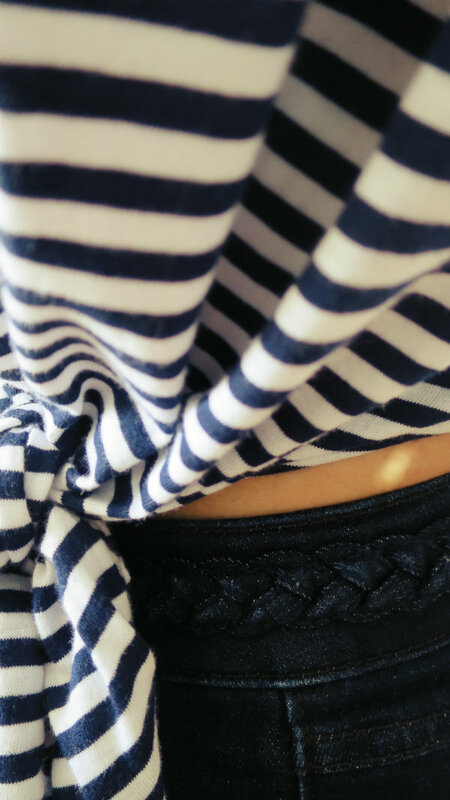 I adore that striped top, its beautiful! Such a lovely outfits!! Specially your blazer!! So cute! So cool, I love every single piece! This blazer is adorable, love the color. Love your blouse too, it looks gorgeous on you. Wonderful outfits! Especially adore the t-shirt with a front knot! That striped top looks SO gorgeous on your figure, and I'm completely in love with the super-feminine white blouse. 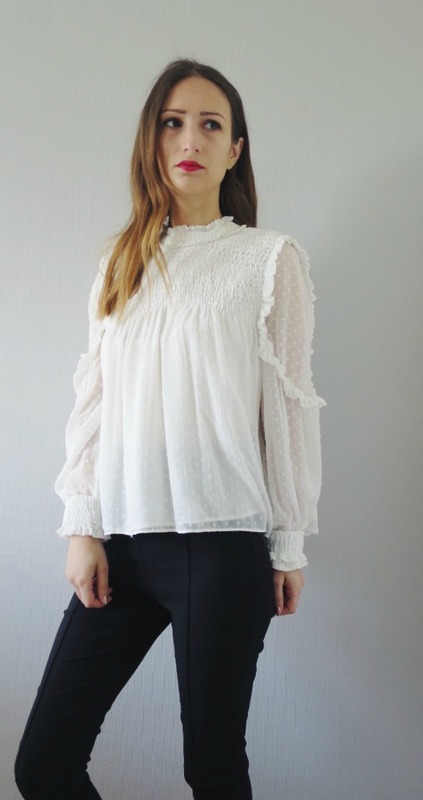 Floaty white blouses are my go-to in Spring! You got some really cute pieces, girlie! I love them all and they look wonderful on you! Thanks for sharing and I hope you have a great week ahead! The blazer, the top...you do look amazing and I love your choices! Great items. The blazer is so pretty. Cute pieces, love them all ! Wow, you have such a great sense of style and I really love how you styled your amazing pieces! So fun to see your style. Loving all the pieces you have showed! Killer styling tricks, lady! Thanks for sharing this! love that bow top! super cute looks! You look amazing in all those outfits! That striped top and that jacket are really pretty! Great outfits! Gorgeous outfits, it looks really nice and chic on you!